RCHS is continuing to expand our educational offerings through podcasts, videos, and DVDs. RCHS, with author and interviewer Paul Nelson, has developed a series of podcasts featuring interviews on subjects of historical interest. Author and historian John Milton tells the story of how citizen opposition delayed for many years the completion of Interstate Highway 35 through Saint Paul. And labor historian Peter Rachleff describes how he and his partner Beth Cleary plan to convert the closed Arlington Hills public library into the East Side Freedom Library in Saint Paul. The second podcast, is now available here. Edward Phelan was one of St. Paul’s very first settlers. Was he also a murderer? In September 1839 the body of Phelan’s cabin-mate, John Hays, was found floating in the Mississippi River. He had been beaten to death. Phelan was charged with the crime, but not convicted. Now, 170 years later, St. Paul author Gary Brueggemann believes he has solved the case. He tells the tale in his new book, Minnesota’s Oldest Murder Mystery. We met with Gary Brueggemann at Landmark Center in downtown St. Paul. Swede Hollow is a ravine on St. Paul’s east side, and for a hundred years — 1850s to 1950s — a receptor neighborhood for recent immigrants. Swedes first, then Italians, then Mexican-Americans. St. Paul historian Steve Trimble edited the Swede Hollow memoirs of Michael Sanchelli for the Spring 2014 issue of Ramsey County History magazine. Steve Trimble joined us to talk about life in old Swede Hollow. What can an anti-Nazi writer and intellectual, exiled in the United States, do for his beloved Germany? Over 70 years ago, Prinz Hubertus zu Lowenstein visited St. Paul and met Hamline University student John Larson. A lifelong friendship and flood of letters ensued. John Larson has now assembled some of these letters, from WWII and after, into a book entitled The German Friend, published by RCHS. Paul Nelson interviewed Mr. Larson at his home in Taylors Falls. The Minnesota Historical Society has created a new venture called MNopedia: short-form articles of state history – including several Ramsey County stories – in an online encyclopedia. This podcast also has an interview with MNopedia’s then-editor, Molly Huber. For more than a century pioneer legislator Joe Rolette has been credited for preventing the Minnesta State Capitol from being moved from St. Paul to St. Peter. The story has been repeated countless times. But is it true? In this episode, Minnesota historian William Lass makes the case that the popular story is folklore, not history. Image above is a drawing of the Gibbs’ sod house, “sodddy.” by Lily Gibbs. 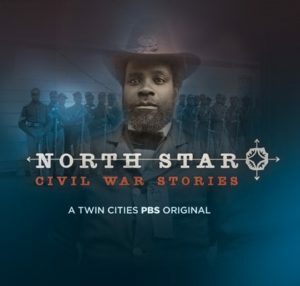 A collaboration between Peter Myers, Ramsey County Historical Society and Twin Cities Public Television. This fun and informative traveling exhibit is available for rent through RCHS. Contact us for more information.